Bottega Gold is a Prosecco DOC is a premium Italian prosecco obtained from the winemaking of Glera grapes. The elegance, the freshness and the vitality of its bubbles reflect the beauty and tradition of the territory from which it originates, known for its vineyard and geographical beauty, where the vine has assumed a central role for centuries. The metallics collection consists of Bottega Gold (prosecco), Bottega White Gold (sparkling wine) and Bottega Rose Gold (sparkline wine). Our task was to create official Bottega Gold social media profiles for an international audience, with particular attention on raising brand awareness in the UK. 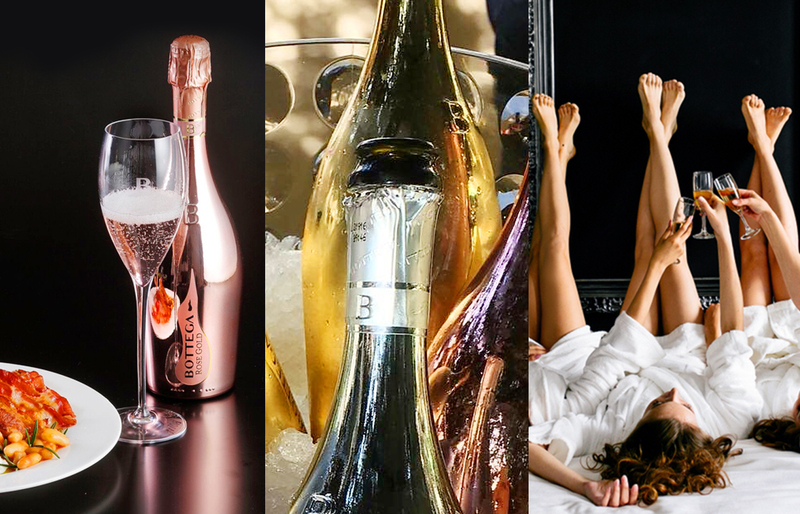 We promote the 3 primary products as well as some secondary products, share global Bottega news, provide Bottega masterclass snippets to educate our audience on a more intense level and showcase all the exclusive Bottega cocktails available in bars and restaurants around the world. Our campaigns are all B2C focused using various techniques to entice a UK and global audience. We’ve established a specific Bottega creative style which is used continuously across all channels and this has made a huge impact on follower created content. The quality of user content is so high, this has now become an integral part of our campaign and we share this content on a daily basis. Through implementing this technique we’ve built and maintained a very high-end and loyal social media following, which is growing progressively. By working closely with the client, we managed to grow the brand’s social media following significantly and helped to establish vital connections with an elite following on a global level.